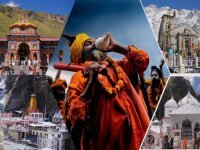 Chardham Travel Agency in Haridwar announced the chardham yatra package for 2019 from Haridwar and Delhi. 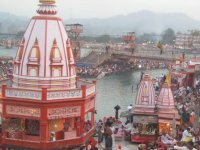 Chardham Travel Agency from one of the approved travel Agent Dada Boudir Tour & Travels offer best chardham yatra package from Haridwar. 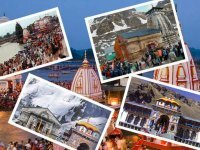 A tour to Char dham the visitors a mesmerizing experience that will be remembered for many, many years. 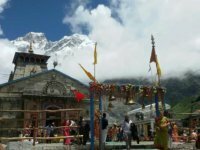 It is believed that the journey to holy Char dham Tour Package to bring in a sense of belongingness, self-actualization and enlightenment in your life. The four holy pilgrimage sites are open to the pilgrims for only six months every year. Kedar-Badri Mandir usually declares the dates of the yatra before Akshaya Tritiya. M. Arrive in Delhi, meet and greet with our representative and then drive to Haridwar, on arrival at Haridwar check-in hotel. Rest of the day at leisure. In the evening, we will take you Har-Ki-Pouri for Aarti darshan, after Aarti Darshan back to hotel for overnight stay. Morning, after breakfast check-out from the hotel and then drive to Barkot via Mussoorie. On arrival check-in Hotel. Overnight at hotel. Early morning (4:00 AM) drive to Jankichatti (42 KMS), start 5 Kms trek from Janki Chatti to Yamunotri either by walk, doli or by horse at own cost. 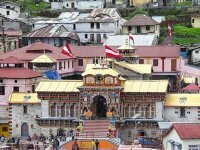 On arrival at Yamunotri, take bath in hot Jamunabai Kund then go for Temple darshan, after having Temple darshan you can also cook rice by packing it in a cloth and dipping it in the hot water of the hot kund. Pilgrims take this cooked rice back to home as “Prasad”. After this back down to Jankichatti and then proceed to Barkot. Overnight at hotel. Morning (9:00 AM) after breakfast check out from the hotel and drive to Uttarkashi. In route visit Prakaseswar Mahadev. On arrival check-in the hotel, In evening we will visit the famous temple of Kashi –Viswnath at Uttarkashi and then back to hotel for overnight stay. Early morning (5:00 AM) drive to Gangotri. At Gangotri take a holy dip in the river Ganga, It’s also called Bhagirathi at its origin. Then go for Temple darshan, after temple darshan drive back to Uttarkashi for overnight stay. Morning (7:00 AM) after breakfast check out from the hotel and then drive to Guptkashi via Tehri Dam. 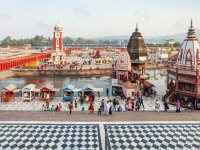 On arrival at Guptkashi check-in the hotel, in evening we will visit the famous temple of Kashi –Vishwnath at Guptkashi. After temple darshan back to hotel for overnight stay. Early morning ( 5:00 AM) check-out from the hotel and drive to Gourikund. From here, we will start 18 Kms trek to Kedarnath. Either by walk, doli or by horse at own cost. On arrival at Kedarnath, check-in into the hotel. In the evening visit Shankaracharya Samadhi behind the temple and take a part in evening Aarti. Overnight stay at the Hotel. 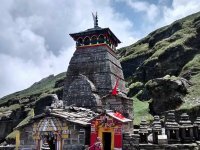 Kedarnath – Gaurikund, Guptkashi (18 Kms Down Trek & 35 Kms 3 hrs by Road)Early morning (4:00 AM) go for temple darshan, after darshan back to Hotel. After breakfast trek down to Gaurikund. Later drive to Guptkashi. On arrival check-in the Hotel. Overnight stay at the hotel. Morning ( 7:00 AM) after breakfast drive to Badrinath via Chopta. On arrival check-in the hotel. After a short break go for interesting sightseeing of Mana Village (the last village before the Tibetan border). 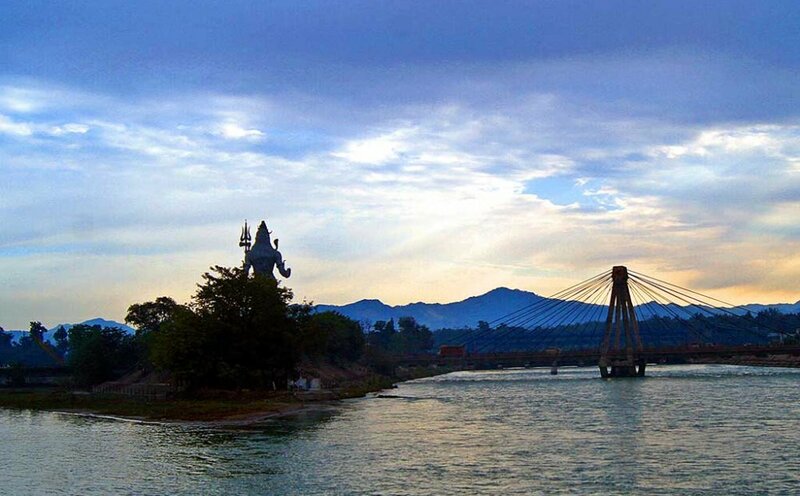 Visit Vyas Gufa, Ganesh Gufa, Charanpaduka, Bhim pul and the “Mukh” of the Saraswati river. After that back to hotel, In the evening go for aarti. Overnight at hotel. Early morning ( 4:00 AM ) take bath in Taptkund it’s also called Suryakund. Then go for temple darshan, after having temple darshan back to Hotel. After breakfast check-out from hotel and drive to Joshimath/Pipalkothi, Overnight at hotel. Morning (5:00 AM) drive to Haridwar. 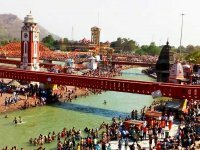 On arrival check-in Hotel at Haridwar, take some rest and In evening take part in aarti perfumed at Har ki Pauri. After aarti darshan back to hotel for overnight stay. Morning (9:00) after breakfast drive back to Delhi. On arrival at Delhi, transfer to airport/railway station to catch the flight/train for onward destination. Tour and services end….